Hideaki's family name was Horri Kaneyoshi. He was born on March 2, 1886 in the village of Shimoskamoto in Shige Province. He began his apprenticeship at age 19 under Horii Taneaki and was given the name Kaneaki. As his experience grew, the token Hozon Kai in 1913 conferred to him the new name of Hideaki. Finally, in 1933 at the height of his career, he once again changed his name to Toshihide; this due to the conflicting association of his name to the newly born prince. 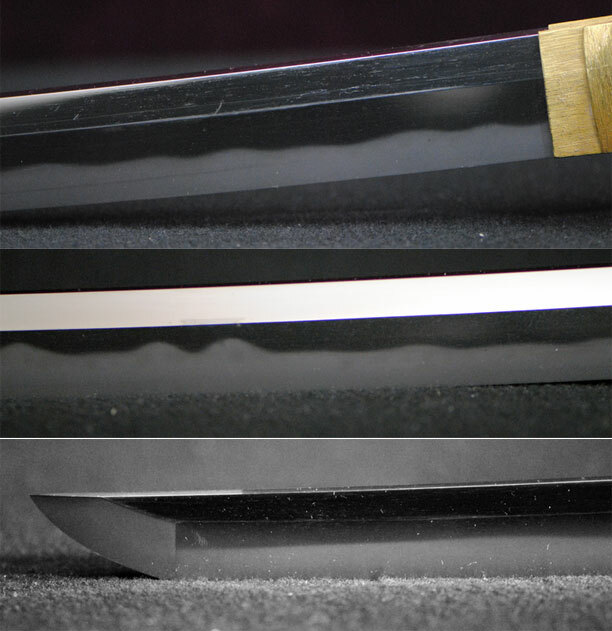 Hideaki produced many fine blades, many for the imperial family, for high ranking officers and especially for the navy officers. Few of which have survived due to the many deaths at sea. Many of whom went down with their ships. This Katana was made in the style of the Bizen tradition, tight Ko-Itame mixed with Mokume Ji-Nie, Chikei, the Hamon is in Nioideki with Choji Midare, Ashi, Sunagashi and Kinsuji and is in fresh polish excellent condition, no flaws. He made swords for the royal fmily and was a top ranking swordsmith of the period. 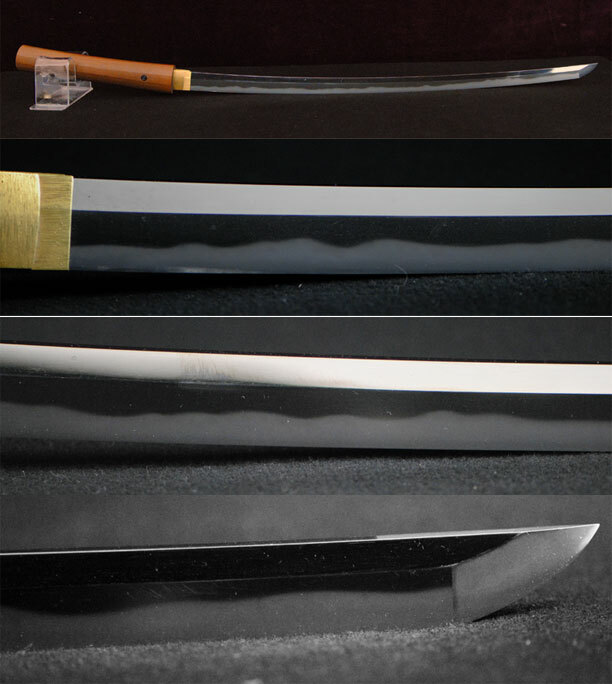 Included in this translation of the characters of the Nakago is the name of the original owner of this blade whose name was 89 year old Ishii Shoichiro, representive and member of the Japanese House of Peers. A desirable, historical collectors' piece.